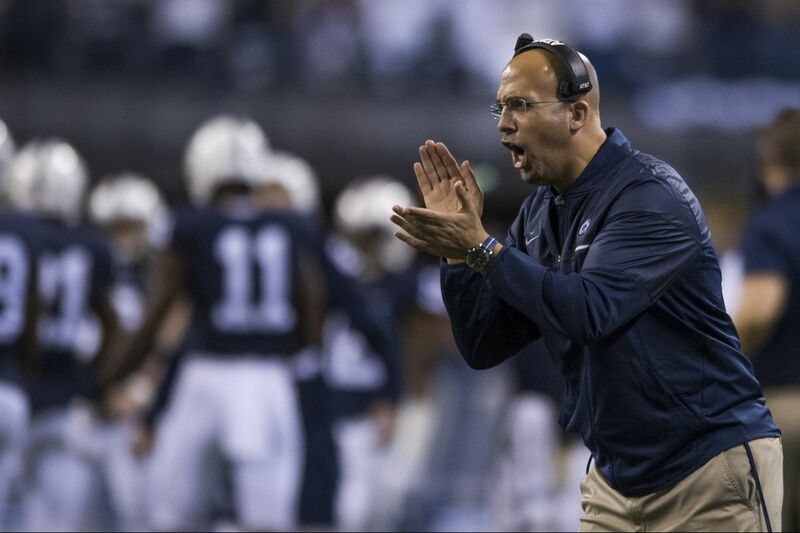 Penn State football coach James Franklin exhorts his team during the Big Ten Championship Game in Indianapolis December 5, 2016. The Nittany Lions won the championship, beating Wisconsin. Penn State picked up another high school player for its freshman class of 2018 on Thursday night when defensive end Jayson Oweh of Blairstown, N.J., made an oral commitment to the Nittany Lions during the Under Armour All-American Game. The 6-foot-5, 236-pound Oweh, who had narrowed his choices down to Penn State and Ohio State, announced his decision after the third quarter of the all-star game. "After careful consideration, I'll be spending the next four years at Penn State," Oweh said on ESPN2, which was televising the game. "It was family. I felt like it was the right thing to do." The Lions signed 21 high school seniors to national letters of intent on Dec. 20, the date for early signings. Oweh will sign his national letter of intent on Feb. 7, the next date. Oweh, a consensus four-star player who played for Blair Academy, was ranked as the nation's No. 5 strong-side defensive end by 247Sports. He is the second defensive end in the class for Penn State, joining 6-3, 245-pound Micah Parsons, a five-star athlete. Parsons is expected to be moved to middle linebacker at spring practice as the coaching staff looks for the replacement for Jason Cabinda. Earlier in the evening, another defensive end, 6-3, 260-pound defensive end Tyreke Smith of Cleveland, committed to Ohio State over Penn State.